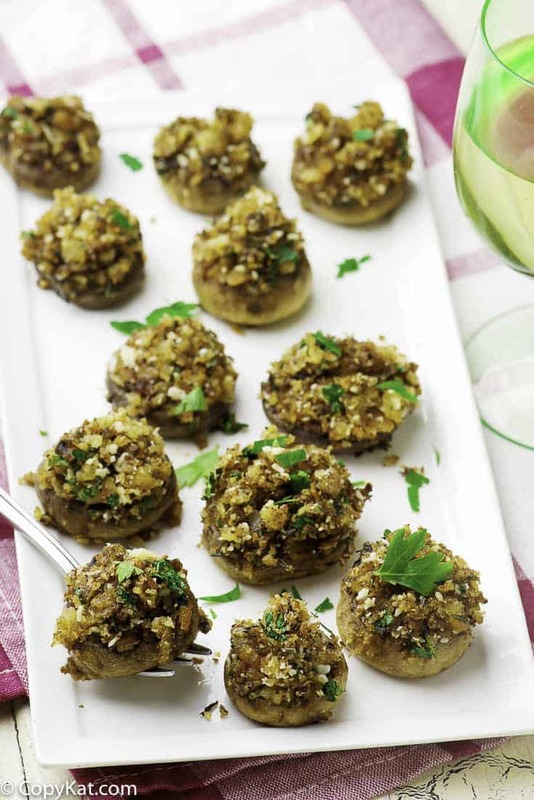 Stuffed mushrooms are a real treat, and can be pretty pricey when you get them out. These are meatless and very tasty. 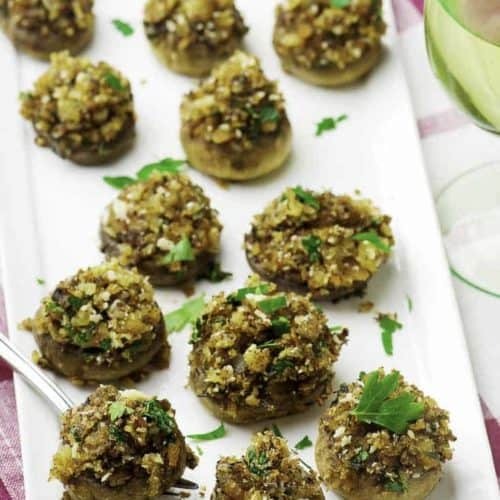 These vegetarian stuffed mushrooms can be put together in no time at all. 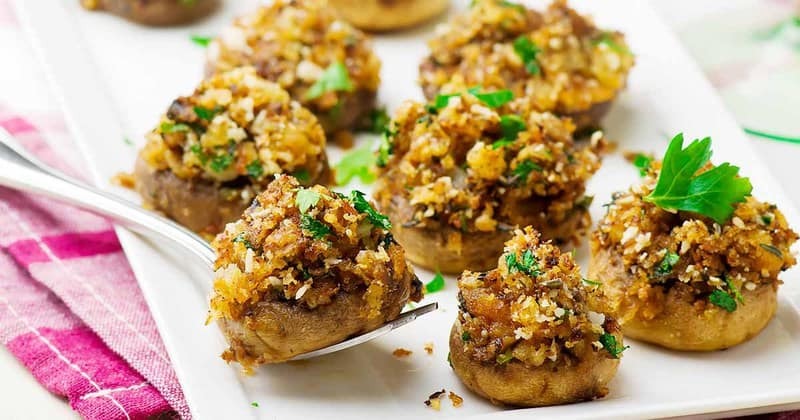 You don't want to miss out on these stuffed mushrooms. Wipe mushrooms with a damp cloth or mushroom brush remove stems and scrape out gills, chop mushroom stems. Saute onion, garlic and mushroom stems until soft and tender. Remove from heat and add the Ritz crackers, cheese, melted butter and pepper to taste. Stir ingredients until they are mixed together; if mixture is to dry add more olive oil or butter. Stuff each mushroom with the stuffing mixture and place on a baking dish in a single layer. Cover with foil and bake at 350 degrees for 20 minutes, remove foil and bake 10 minutes longer until golden brown on top! Enjoy! This recipe was donated by Bill Safer. Not too shabby for a vegetarian stuffed mushroom.